The best walks through the awe-inspiring scenery of Banff and Jasper National Parks with comfortable accommodation throughout. Mountain Kingdoms have provided the opportunity for us to explore mountainous area of the world which we could not have done without their support. From the moment we departed Calgary and joined the Trans Canada Highway, I knew that I was in for an extraordinary scenic treat. Beautiful emerald lakes, towering mountain peaks and the excitement of being on the lookout for roaming wildlife, all added to an unforgettable adventure. I didn’t want to leave. The stunningly beautiful Canadian Rockies encompass the Canadian section of the North American Rocky Mountains, an impressive system of numerous mountain ranges that run from the Canadian Prairies to the Pacific Coast. Mount Robson, at 3,954 m/12,972ft, is the highest mountain. Five national parks are located within the Canadian Rockies and were together declared a single UNESCO World Heritage Site in 1984 for the exceptional mountain landscapes found here. On this superb walking holiday you will explore three of the most breathtaking parks - Banff, Jasper, and Yoho; which offer the very best scenic and truly natural experience. Your adventure begins in Calgary, the Canadian province of Alberta, on the confluence of the Bow River and Elbow River. Calgary has numerous skyscrapers, however it is steeped in western culture and well-known for its cowboy traditions, in particular the famous Calgary Stampede. From here you venture north, settling for a few nights at a time, in three stunning locations. Firstly, you will explore Banff National Park, following well- marked trails and achieving remarkable panoramic views across wide mountain ranges. You will walk to a stunning viewpoint above famous Lake Louise and Bow Lake and hike to the foot of the magnificent Takakkaw falls and Laughing Falls in Yoho National Park. Heading further north you continue to Jasper, driving along the Icefield Parkway, one of the world’s most spectacular driving routes, stopping along the way to hike to Parker Ridge for must-see views of the impressive Saskatchewan Glacier of the Columbia Icefields. From your base in Jasper you will set off to explore the delightful meadows, captivating glaciers and icy waterfalls and hike in pristine areas of outstanding beauty. You walk to Edith Cavell Meadows and visit the powerful Athabasca Falls, plus you will follow the most breathtaking panoramas over the Maligne Lake. To conclude this grand adventure your final three days will be spent in Kananaskis, from where you will take daily excursions in and around Banff and Kananaskis, enjoying walks through unspoiled forests to meadows beneath towering cliffs and granite peaks. Meal arrangements: 11 Breakfasts, 10 Lunches, 3 Dinners. Your guide will prepare 2 dinners and your lunches during your holiday. The lunches will be taken with you on the trail. Fly to Calgary and transfer to hotel. Drive to Lake Louise. Day walks to Lake Agnes at Lake Louise, Helene Lake and Laughing Falls at Yoho National Park. Drive the Icefield Parkway to Jasper. Hike Parker Ridge trail en route. Walks to Edith Cavell Meadow and visit the powerful Athabasca Falls. Appreciate breathtaking views along the Bald Hills trail at Maligne Lake, Jasper. Drive to Kananskis and hike in the Banff and Kananaskis region. Trails include Chester Lake, The Hoodoos, and Tunnel Mountain. Short hike Ptarmigan Cirque and drive back to Calgary. Our walking and trekking holidays in Canada are led by experienced, friendly and knowledgeable, English-speaking local guides. They have extensive knowledge of their surroundings and bring an in-depth aspect to your adventure. 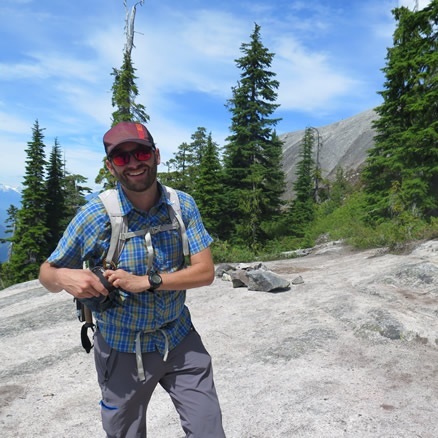 Our local guides are members of professional organisations including the Association of Canadian Mountain Guides, they are Wilderness First Responders accredited by the National Outdoor Leadership School, and are members of Leave No Trace Canada. Day 1 - Fly London to Calgary. Group transfer to hotel. Fly from London to Calgary. On arrival you will be greeted at the airport by your local guide and transferred to your hotel. The remainder of the day is at leisure, for you to recover from your flight and to enjoy downtown Calgary. Day 2 - Drive to Lake Louise - 195 km, 2½ hours. Walk to Lake Agnes – 7.6km, 433m ascent/433m descent, 3-4 hours. Your first full day in Alberta starts with an early breakfast before departing downtown Calgary and heading north to the village of Lake Louise. Lake Louise is one of many glacial lakes within Banff National Park and without question the most famous; the emerald colour of the water comes from rock flour carried into the lake by melt-water from the glaciers that overlook the lake. Lake Louise is 2km long, has an area of 85ha, and a maximum depth of 70m. Today is the perfect introduction to the outstanding scenery that dominates the landscapes in the Canadian Rockies, as you climb to the shores of picturesque Lake Agnes, with views from above the beautiful Lake Louise. The trail climbs gradually through subalpine forest for a mile to a switch-back that overlooks Lake Louise and the delta at its inlet. Views of the impressive quartzite cliffs of Fairview Mountain rise steeply on the opposite side of the lake. This popular trail leads you to Mirror Lake and through larch trees on an avalanche slope on Mount St. Piran. Here numerous flora, ground squirrels and chipmunk can be seen. You continue until reaching Lake Agnes, located at an altitude of 2,135m. Here, a historic teahouse adds a sense of time to the beautiful natural surroundings and serves as a welcoming refuge for hikers. There is an option to continue the hike to Little Beehive summit for even greater views. Descending back to Lake Louise you will drive to your accommodation for the next three nights. While you are staying at Castle Mountain Chalets your guide will cook dinner on two nights and advise you on the best options for the third night. You may either drive to a local restaurant, travel into Banff or Lake Louise. Day 3 - Drive to Bow Lake – 130km, 1½ hours. Walk Helen Lake - 12km, 455m ascent/455m descent, 3-4 hours. After a traditional Canadian breakfast you take a short drive north along the Icefields Parkway to the trailhead for Helen Lake. This is one of the classic hikes in Banff, along stunning trails with an exceptional assortment of natural views. On your hike you will come across beautiful wildflowers and amusing furry friends including marmots and small adorable pikas that live in the area, plus you may also see eagles and a variety of ground squirrels. The trail winds steadily through alpine forest and to an open avalanche slope, here you gain the majority of your ascent. As the trail rounds the hillside you are greeted with a wide open meadow and lovely views and from here the hike is outstanding. Looking down, the flower displays in the meadows are superb (June-July). Looking up, the Crowfoot glacier clings remarkably onto Mount Hector, 3,394m. You leave the shady trees behind as you make your way gently up the valley through patches of rock slides, ravines, alpine toundra vegetation, then cross an active stream to a scattering of picturesque mountain lakes and finally on to Helen Lake. You are rewarded by pleasant views down into Bow Valley to the south. Returning to your start point, you will be truly amazed by your day's experiences. Day 4 - Drive to Yoho National Park - 80km, 1½ hours. Walk to Laughing Falls 7.8km, 125m ascent/125m descent, 3.5 hours. Today you cross from Alberta into British Columbia. Yoho National Park lies on the western slopes of the Canadian Rocky Mountains. Glaciers carved an immense and deep u-shaped valley, later named Yoho by the Cree, leaving the water flowing down its tributary valleys no other choice than to plunge down soaring cliffs. Takakkaw Falls, one of Canada's highest at 254m in one stretch and 384m in total, is simply mesmerizing especially on sunny days, when a mist rainbow appears midway up. You depart north and walk across an alluvial plain into the forest. Moose frequent this area. We may opt for a little side trail for a view of Angel's Staircase Falls. The main trail continues up a hill and past a little canyon for good views of Laughing Falls from the north bank of Little Yoho river. On your way back you will stop at Emerald Lake before returning to your accommodation. Emerald Lake is the largest of Yoho's 61 lakes and ponds, as well as one of the park's premier tourist attractions. Day 5 - Drive Icefield Parkway - 240 km, 4 to 5 hours. Walk Parker Ridge – 5.5 km, 250m ascent/250m descent, 2-3 hours. Today you take a journey north along one of the world's most scenic highways, the Icefield Parkway. Jaw- dropping scenery surrounds you for the duration of this unforgettable drive. The landscape is peppered with more than 100 ancient glaciers, majestic waterfalls falling from dramatic rock spires and turquoise emerald lakes. En route, you'll make regular stops, to stretch your legs and appreciate the surroundings. You'll visit the unexpectedly beautiful Peyto Lake situated just a short walk from the roadside, hidden deep in the valley below, a breathtaking sight of a vast glacier-fed lake is revealed. Continuing towards the Columbia Icefield you will stop to walk up the must-do trail to Parker Ridge, for views of the impressive Saskatchewan Glacier - a prominent toe of the Columbia Icefields. Continuing north you'll arrive in Jasper and settle in to your accommodation for the duration of your stay in Jasper National Park. During your stay in Jasper area your guide will propose local restaurants for the three dinners. Breakfast will be taken in the dining room or at the chalets, and lunch will be taken on the trail. However, this evening you will enjoy dinner at a local restaurant in Jasper. Day 6 - Drive to Cavell Meadows - 60 km, 1½ hours. Walk Edith Cavell Meadow trail - (6-7km, 500m ascent/ 500m descent, 4-5 hours. Visit Athabasca Falls. The Cavell Meadows hike is a Jasper favourite, displaying colourful floral meadows, dominant glaciers and jagged towering cliffs. Your hike today starts by climbing over a terminal moraine, the furthest advance of the now receded glacier, and works south through the quartzite debris of the glacier forefield. Part of this area was covered by ice less than 50 years ago. Delightful chipmunks, golden mantled ground squirrels, and pikas live in the nooks and crannies of this moraine and add a sense of 'wild' to this wonderful trail. Cottonwood poplar grows from the rocks to the right of the trail and reaching the top of the moraine marks an immediate change to subalpine forest. Your trail switchbacks into the trees. The forest here is an ancient one, dominated by Engelmann spruce and subalpine fir. One fir is half a metre thick at the base. The first of your viewpoints provides an excellent sight of Angel Glacier and its 40m thick ice cliffs. Soon the trail emerges from the trees to reveal the beautiful Edith Cavell Meadows - amateur botanists are particularly fond of these meadows for their displays of pink, yellow, and white mountain heather which provides the most spectacular setting. Retracing your steps, you descend back down the trail and then return to Jasper, stopping at the spectacular Athabasca Falls - known as the most powerful waterfall in the Canadian Rockies the falls are completed by an exceptional setting of tall alpine forest with the mighty Mt. Kerkeslin in the background. Day 7 - Drive to Maligne Lake – 100 km, 2hrs. Walk Bald Hills – 10.4km, 500m ascent / 500m descent, 4-6 hours. The Bald Hills hiking trail has some of the most breathtaking panoramas that Jasper has to offer. The hike is a moderate climb but very rewarding - you will take lots of breaks to ease the ascent. The trail follows a fire road through a pine forest. Upon reaching the subalpine life zone, views to the North begin to open with the Queen Elizabeth Range visible across the valley, and Little Shovel Pass in the Maligne Range to the North. This sample of mountains encapsulates two different themes in local geology, younger, grey front range limestone; older colourful main range quartzite underfoot. Passing a small pond as you enter the tree line glades, you pay attention to a surprising concert of birds: juncos, thrushes and sparrows to name a few. You reach the old fire lookout site, rewarded with magnificent views of Maligne Lake complete with six summits above 3,000m. You hike down at your own pace, reflecting on how this trail was well worth the effort after all! Day 8 - Drive from Jasper to Kananaskis – 370km, 4 -5 hours. En route walk at Athabasca Glacier – small walk of up to 1 hour. Today you make your way back along the spectacular Icefield Parkway Highway to Kananaskis - enjoying views equally as impressive as your first experience. En route you'll stop for a gentle hike to the toe of Athabasca Glacier. As you walk past the glacial lake at the snout, the receding of the glacier becomes obvious. The striated bedrocks tell the story of its advance, while stone markers identify the location of the glacier snout in past decades. You marvel at the wall of ice at the far end of the valley interconnected with the extensive Colombia Icefield, a remnant of the last ice age. You continue your drive until reaching Kananaskis country which makes for a quieter experience than the main national parks. This is where you will stay for the following 3 nights. Day 9 - Drive to trailhead. Walk Chester Lake trail – 9.6 km, 310m ascent/310m descent, 3-4 hours. Today you will enjoy a short and pretty hike to Chester Lake in Spray Valley Provincial Park, Kananaskis Country. The trail to this beautiful tarn is justifiably popular and meanders through spruce-fir forests and three meadows leading to the emerald waters of Chester Lake. The meadows near the lake are flushed with wildflowers in early summer, and wild berries which makes for good bear spotting opportunities. There are good views of the mountains that surround the lake: Bustall Pass, Mt. Chester, 3,054m, Mt. Smith Dorrien, 3,151m, Mt. Roberstson, 3,177m, and Mt. Sir Douglas, 3,411m. The trail forks at the lakeshore. As you continue through groves of spruce, larch and subalpine firs, you enjoy a string of viewpoints to admire the lake from different angles. You hear the roar of a small stream and the chant of songbirds. Day 10 - Drive to Banff – 160km, 2 hours. Walk along the Bow River to the Hoodoos - 5km, 60m ascent/60m descent, 1-2 hours and optional Tunnel Mountain – 4.6km, 260m ascent/ 260m descent, 2 hours. The town of Banff is crossed by the crystal clear glacial waters of the Bow River. You follow the river banks until you reach the Surprise Corner viewpoint for views of the Bow Falls. Although Bow Falls is just 9m at its highest point, the roar from the falls erases all other sounds around you. You continue below the steep cliffs of Tunnel Mountain following the river. The highlight of the trail is the hoodoos, these magical towers composed of sedimentary rock covered by harder rock types, carved by wind and precipitations. As the final section of the trail ascends, you are rewarded with open views across the valley to Mount Rundle, the town's iconic tilted giant. You may opt for free time to stroll on Banff Avenue, or you could follow your guide on Tunnel Mountain Trail. Probably the park's most visited trail, it offers unparalleled views of the town and Vermillion Lakes. Sit back and enjoy a well-deserved rest on the summit. Day 11 - Walk Ptarmigan Cirque – 4.5km, 210m ascent/210m descent, 2 hours. Drive to Calgary – 190 km, 2.5 hours. As with most trails in this region, the climb starts in a spruce-fir forest. Severall switchback lead you to an area lined with larch trees before the trail branches off into a loop. You emerge in a wide open meadow, a fine example of a recently deglaciated valley in the Rockies. Most of the landscape looks desert, yet, if you look closely, you will find it remarkable. The bedrock reveals fossilized remains of an ancient seabed, complex lichen colonies cover rocks and boulders, gullies and avalanche debris offer forms of shelter for small birds and rodents. The fauna and flora of this harsh habitat rely on survival strategies and biological adaptations to survive, and you are lucky visitors who get to catch a glimpse at its most pleasant time of the year! Driving back to Calgary in the afternoon, you will have time to walk downtown and enjoy a last farewell dinner with your group. Day 12 - Group transfer to the airport for flight back to London. You may have time for some last minute shopping today before transferring to the airport for your overnight flight home. Claude worked really hard to give us a good experience of Canada. He organised our accommodation, transport and food really well. He cooked, drove us everywhere, planned our walks. He was always cheerful and pleasant and fun to be with. Claude is very knowledgeable about the area. Because of the weather, he had to organise alternative routes for us to walk and did this without any difficulty. We have travelled with MK before and have always been impressed with the quality of the in-country staff. Having a fantastic guide in Claude Deschamps who cleverly tweaked our walking itinerary when we found ourselves in the middle if the coldest September weather in Alberta for 60 years! We enjoyed the snow which only enhanced the beauty of our surroundings. We also very much enjoyed the "gin club" and the cosy evening meals in the Pine Bungalows at Jasper cooked by Claude. This bonded our group of 11 really well. MK have provided the opportunity for us to explore mountainous area of the world which we could not have done without their support.